We are so excited to share this colorful mountain wedding at the Della Terra Mountain Chateau today! Kellie and Rob beautifully incorporated their color palette into their special day. 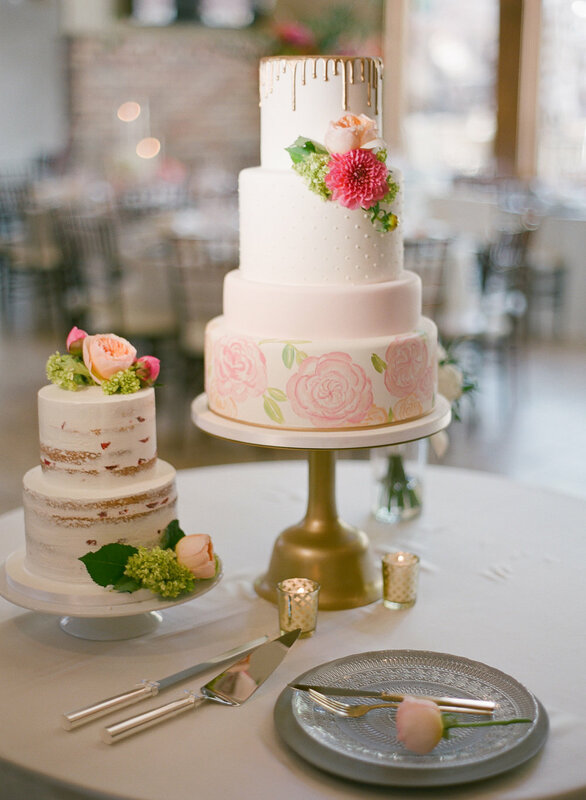 From the florals, to the stationary, to the cake - you will find some peach or pink colored details in every single picture! And what a fun idea to shower the newlyweds with petals right after their ceremony. Kellie looks absolutely stunning in her gown. She fell in love with "Sarah" by Robert Bullock, an incredibly flattering satin gown with a mermaid shape and buttons going all the way down to the floor. To make it her own Kellie added the "Francine" belt by Sassi Holford which adds some sparkle to the simple beauty of this gown. We wish Kellie and Rob a future full of love and laughter together! Thank you so much Laura Murray for sharing these gorgeous photos!